That familiar chill is in the air. The days are getting shorter and the weather is taking a turn. I don’t know about you, but winter is probably my least favorite season. Once I get that chill in my bones, I can’t seem to shake it. It’s really a miserable time of year for me, but I’ve found a couple of things that make me feel a little bit better about the deep freeze. First of all, I try to keep myself in good spirits with yoga to beat the winter blues, and over this past weekend I’ve found my newest cure for the winter doldrums— bubble baths! I’ve always got a million things going on and I try to convince myself that I don’t have the time to soak in the tub. Honestly, I’ve been fooling myself and I’ve been wasting precious time that I could have been using to relax and recharge my battery. You guys, we really- and I do mean REALLY- need to take the time to relax. Relaxation should be on all of our to-do lists (everyday) without exception. There’s almost nothing in the world that is more relaxing than melting into a warm bath. Seriously. 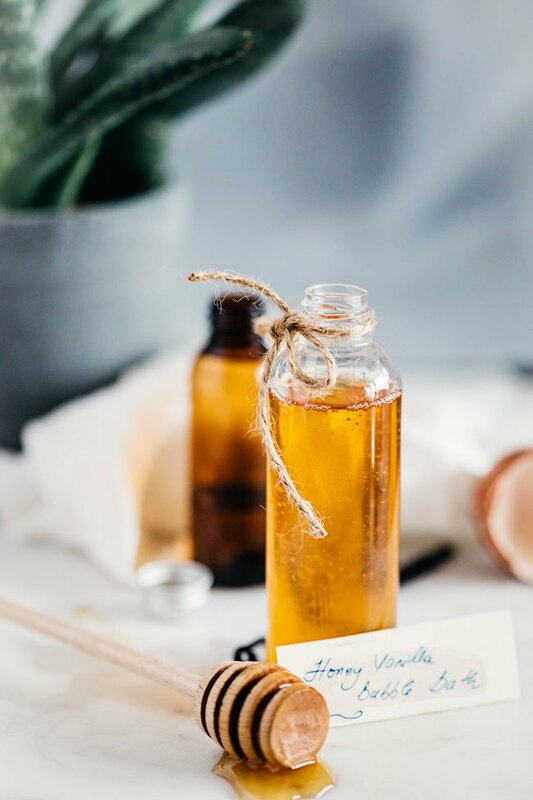 I took some time on Sunday to whip up this homemade bubble bath recipe, and I totally just slipped away. 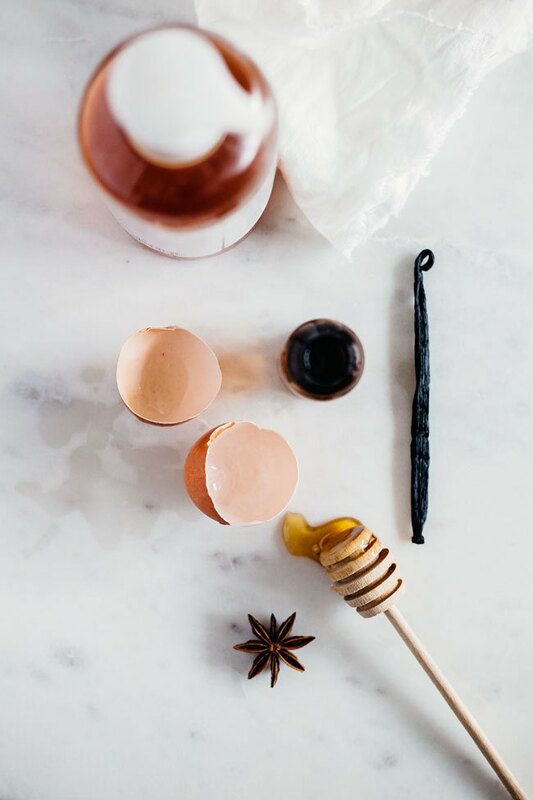 The hint of vanilla in this recipe gives your bath water the most subtle and relaxing scent, while the light oil, honey, and egg white moisturizes your skin. It’s amazing! I dare you not to add this bubble bath into your spa days at home routine! Hi Bailey, If only I had almond oil in the house I would make this today. It has been cold and rainy and this seems just the right thing to close out the day! Hey, Melanie!!! You should make it anyway! You can use any other light oil that you have on hand. It’s cold and rainy here too. A nice warm soak is a total life saver. Thanks! I really hope you try it!